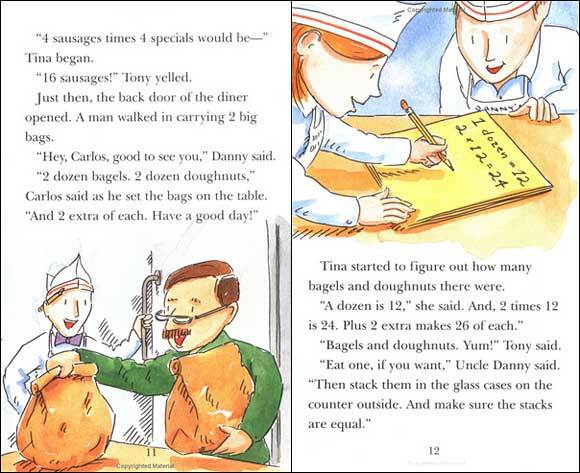 Breakfast at ﻿Danny's Diner starts with a busy morning diner scene, with Danny's twin niece and nephew, Tina and Tony, helping out. There is a lot of work to do-there are tables to be set and food orders to take care of. The twins are overwhelmed. 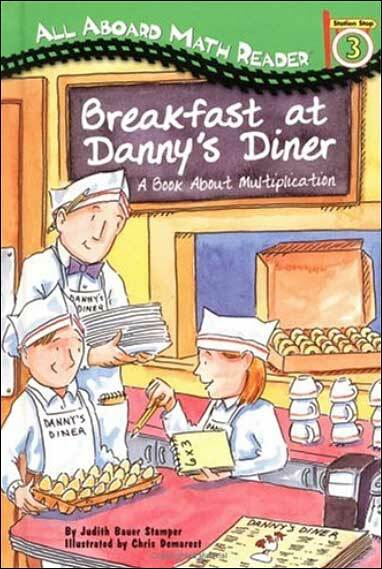 But when they put their multiplication skills to work, the diner runs better than ever! 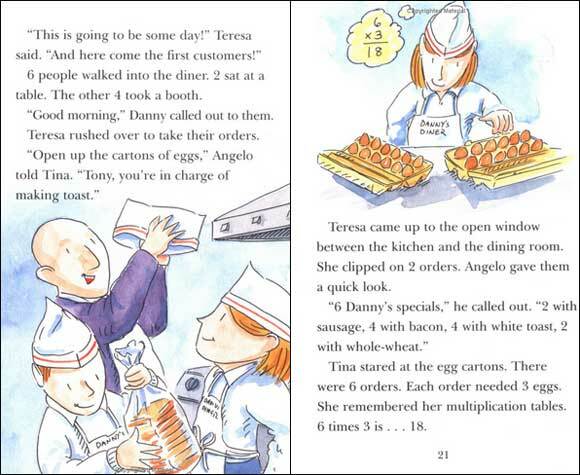 Below are some sample pages from inside this All Aboard Math Reader for learning multiplication. As you can see, it's in an early chapter book format, with lots of accompanying full-color pictures to maintain kids interest and understanding.